Molescroft Primary School Archives | HU17.net – It’s all about Beverley! A look back at 2018 shows it was a good year for the small Market Town of Beverley. 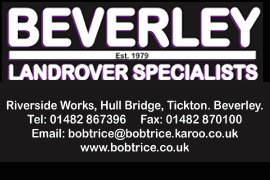 2018 saw Beverley as a town achieve a number of things, while there were also some great stories in the community. Of course, there was other not so good news too. 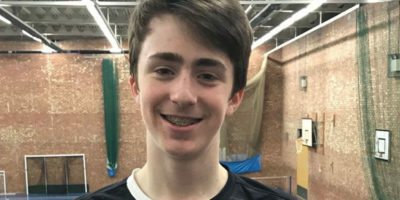 A 15-year-old boy from Beverley is rising through the UK Badminton rankings and is now within touching distance of making the top 200. Oliver Stapleton was introduced to Badminton thanks to an after-school club he attended while at Molescroft Primary School. Tesco in Beverley are inviting local groups to go and see them so they can learn how they can benefit from the Bags of Help scheme. Taking place on Wednesday 10 October at the Morton Lane store, Tesco will be holding a ‘Meet the Funder Day’ with 15 minute slots available. Town Clerk Helen Watson says she is delighted with news that a local school and retail park were awarded Gold standard by Yorkshire in Bloom. 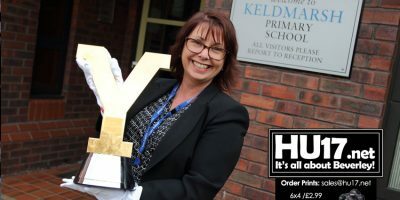 Molescroft Primary School and the Flemingate Retail Park both achieved Gold for their efforts in the all year round competition. 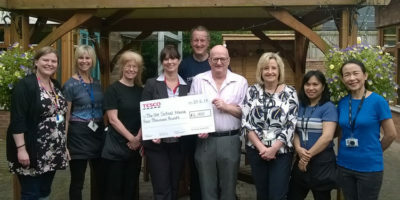 Tesco in Beverley have handed over thousands of pounds to The Old School House Care Home after they won the customer’s vote for in the Bags of Help incentive. Winning for March and April, The Old School House Care Home will use the funds to deliver a project called Digging for Dementia. The men’s and women’s Tour de Yorkshire Trophies will visit Beverley and surrounding villages on Monday, 12 March as part of a week-long tour of Yorkshire ahead of the event, with both races starting in the town on Thursday, 3 May. Members of the public will be able to catch a glimpse of the silverware in Saturday Market, from 12noon to 1pm, with the trophies also visiting six schools in the morning and five in the afternoon. 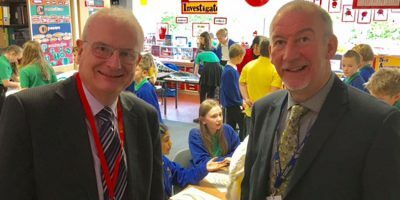 Local MP, Graham Stuart, says a funding boost for Molescroft Primary School will build upon the real progress being made by schools in Beverley and Holderness. 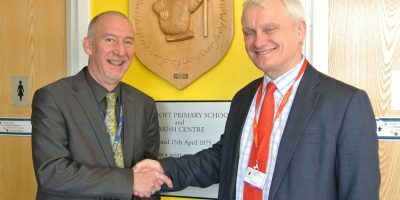 The outstanding school has received cash from the Government’s Strategic School Improvement Fund (SSIF) to develop better maths teaching in other surrounding schools. Taking place on Tuesday 23 January at the Morton Lane store, Tesco will be holding a ‘Meet the Funder Day’ with 15 minute slots available. 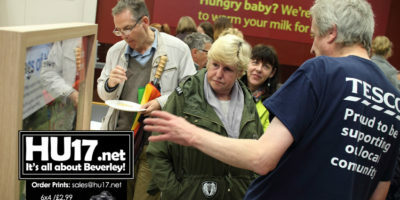 Woodmansey Primary School parent, teacher and friends association (PTFA) advertised for volunteers and the community did not disappoint. Well over a 100 volunteers of all ages turned out to support a tree planting session at Woodmansey School. Woodmansey Primary School is looking for volunteers to help plant 420 trees. 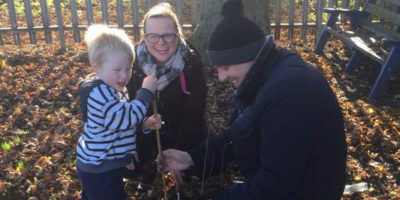 The school’s parent, teacher and friends association (PTFA) has won a donation of trees from The Woodland Trust and needs volunteers to help plant them. 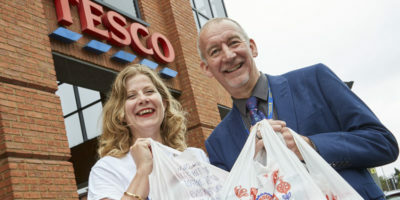 Tesco in Beverley has given local community groups a massive cash boost via the Tesco Bags of Help initiative. Molescroft Primary School and East Riding Voluntary Action Services (ERVAS) are the latest groups to bag funding, earning grants of £5,000 and £2,000 respectively, which have been funded from the 5p carrier bag charge. As it’s 150th Anniversary year draws to a close, Beverley Building Society invited members and guests to a garden party and celebrated the burial of a time capsule. The winner of the Society’s Red Box Challenge, Natasha Sharpe from Year 4 at Molescroft Primary School buried the time capsule with the help of Graham Carter, Head of Lending. Natasha included a letter to her future self, as well as items from the Society, members of the public and a letter from Her Majesty The Queen. Pupils at Molescroft Primary School in Beverley were invited to take part in the Beverley Building Society Red Box Challenge. 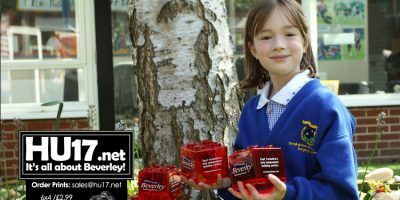 Based on the paperclip challenge, where a Canadian blogger bartered his way from a single paperclip to owning a property in just fourteen trades, the pupils took the Society’s red money boxes home to swap for different items with friends and family. 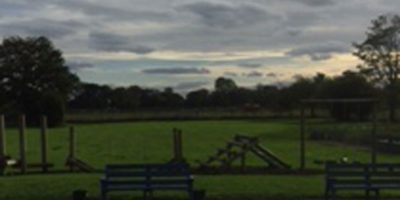 As the Molescroft area continues to expand with all the new housing, the local primary school is having to turn down places for families living in its local catchment area. Local ward Councillor, Denis Healy, asked County Hall education officials for a report on school place demand at Molescroft primary school, and discovered that 85% of applications made for a place at the school over the last 4 months have been unsuccessful. 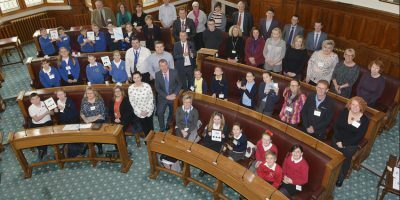 Schools across the East Riding were represented at a ceremony which celebrated their success in supporting cycling, walking and other forms of sustainable travel. The schools were presented with certificates and plaques in recognition of their work towards the Modeshift STARS national schools awards scheme. 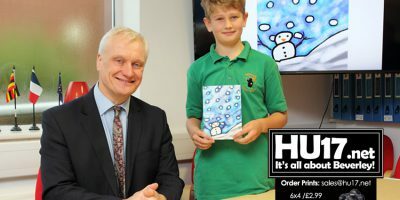 A card designed by a pupil from Molescroft Primary School, Sam Davis has been selected by the MP Graham Stuart as to be used on his official Christmas Card for 2016 and be sent out some of the biggest names in UK politics. 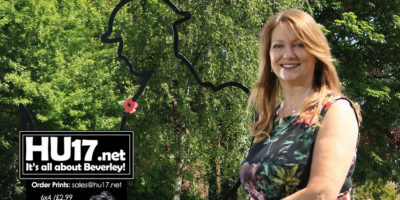 Sam whose design featured a snowman in a snowy scene was selected from the hundreds of entries from school children throughout the area as the overall winner by Beverley based artist Nick Matson.